The Auburn Mantel Shelf is a beautiful solid hardwood shelf that features a rich design with thick slabs of wood on all sides of the mantel. The corbels at the bottom of the mantel accent each side of the circular arc and create a very nice visual appeal. The mantel shelf features straight lines and a rich solid wood presence that is sure to add to the beauty of your fireplace. This mantel shelf can be mounted above your fireplace or in any room of your home including your bedroom. *This mantel shelf will include the corbels and the arch. The customer has the option of using any of those items or only the shelf. 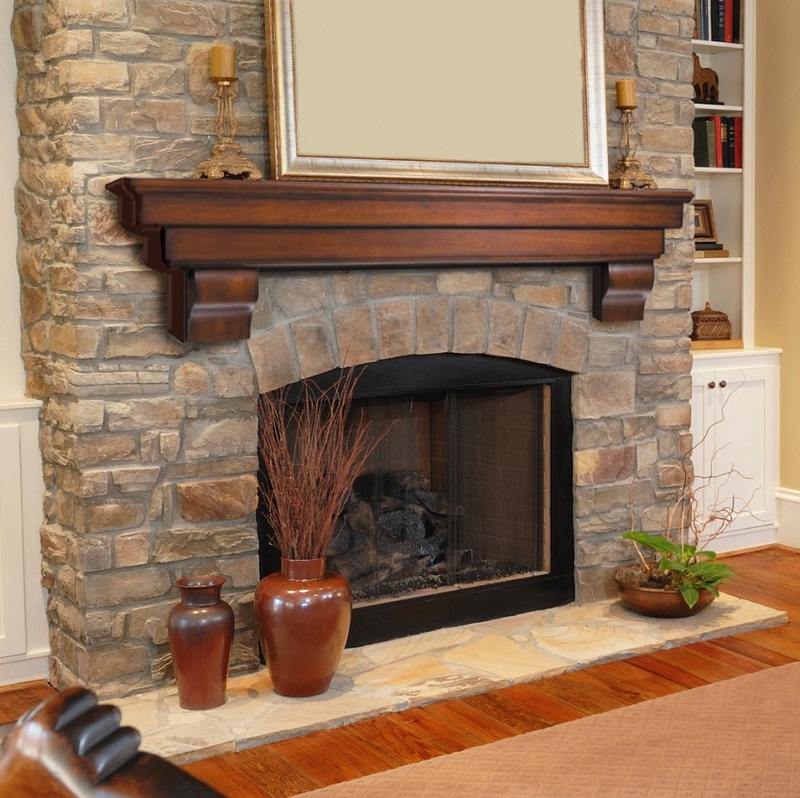 The Auburn Mantel Shelf 48"
Width of Each Corbel: 4.75"
Height of Each Corbel: 5.875"
Overall Height with Corbel: 12"